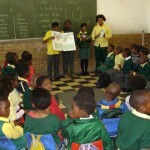 Siyabuswa – The South African Government is on a drive to produce more than 14 000 teachers by 2014. Higher Education and Training Minister Blade Nzimande made the announcement at the official launch of the New Teachers Education Programme in Mpumalanga on Tuesday afternoon. Nzimande launched the programme at the reopening of the Siyabuswa Campus, which used to be known as the KwaNdebele College of Education. The campus is expected to be part of the Mpumalanga university, which is expected to be completed next year. “The programme is part of government’s aim to address the gap that currently exists between teacher supply and demand. 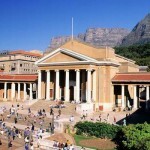 This is indeed an exciting day for South Africa’s entire education system,” said Nzimande. According to Minister Nzimande, research indicates that the country should in the short and medium term aim to produce approximately 18 000 new teachers annually to meet national standards. “In response, the ISPFTED which was launched in 2011 provides a blueprint to guide our collective efforts to address teacher education and development challenges in the country, and we are moving fast on this. This event we are celebrating today bears testimony to this. Many other initiatives are on the way in collaboration with teacher unions and the Education Deans Forum,” he said. Nzimande said his department has already implemented a three-step approach to strengthen and expand teacher education capacity. He said the steps included making sure that the current education capacity of universities is fully utilised, expanding teacher education capacity on existing university campuses through the allocation of funds to develop new infrastructure and establishing new campuses for teacher education. He said work was in progress to establish three further teacher education campuses in KwaZulu-Natal, Eastern Cape and Limpopo. “This is in line with the education and health resolutions adopted by the 53rd National Conference in Mangaung, specifically that all former colleges not utilised for education purposes… must be recapitalised for foundation and intermediate phase teacher education or as FET college campuses, or for other post school education purposes,” Nzimande said. He said the former colleges include university campuses, FET college campuses, teacher development institutions or centres. “The establishment of a full teacher education footprint at the two new universities to be established in Mpumalanga and the Northern Cape, the establishment of three additional teacher education campuses, the new and growing involvement of the Vaal University of Technology in initial teacher education, will bring us very close to producing the required 18 000 new teachers per year in the medium term, and so better address the teacher supply demand gap,” he said.